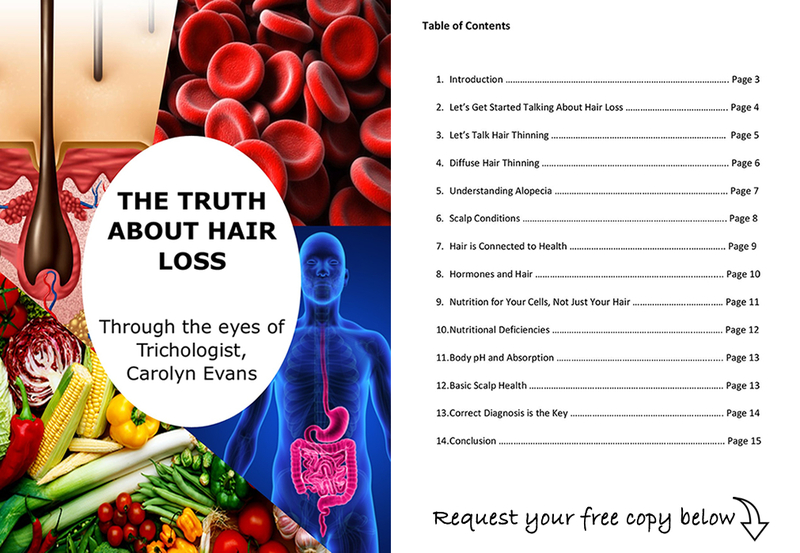 Following on from recent videos and blogs about low iron and iron deficiency, as Absolique Trichologist Sydney, I would like to share the result of combination therapy hair loss treatments Sydney addressing extreme diffuse hair thinning as the result of long term iron deficiency. The digital and microscopic images we use to track hair loss treatments are always four months apart. This is the time frame we can use to see a realistic comparison when following maintenance hair loss treatments Sydney along with watching iron levels and supplementation effectiveness. With iron levels and general nutrition raising we can expect to achieve desired hair regrowth. Absolique Trichology Clinic Hair loss treatments for this young lady began back in January 2014. At that time the diffuse hair thinning was visually noticeable and she had resorted to wearing a wig. Hair thinning from low iron and/or low ferritin will always be diffuse, scattered all over the scalp. Diffuse hair thinning can and commonly does allow a secondary hair thinning problem to be triggered. This is early onset female pattern thinning. In this case, and like most we also found female pattern thinning to be active at the top, front and recessions of scalp hair. 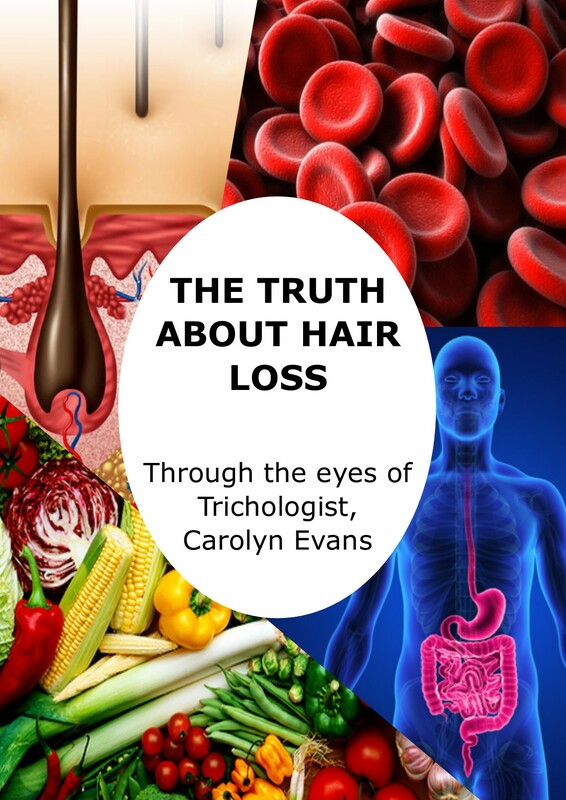 At the time of Absolique Trichologist diagnosis my client was age 22 and reported she had visually noticed hair thinning for at least seven years. This means the underlying health problem of severely low iron/ferritin had been in the back ground as far back as age 15. In this particular case we also had the complication of the birth control pill at age 17 for acne problems. The pill was changed a few times because the intended result on acne was not occurring along with other complications arising. Starting/stopping/changing any medication can potentially trigger diffuse hair loss. The history of this case events certainly can cause both hair loss and hair thinning simultaneously. The goal of reaching a full head of hair once again seemed daunting because of the level of hair thinning, but, all follicles were open, no permanent damage was present. We knew it would take time to be able to trade the wig for her own natural healthy hair, so we both kept at it and checked in every four months. The photos we share in this video are from April – August 2015. We are so pleased to be wig free and continue to check in every 4 months to make sure health and hair stay on track to prevent any future hair loss or hair thinning. Natural hair loss treatments maintenance is simple and affordable, the side effect is good health. We hope this common story inspires someone to take action and get a correct, qualified Trichologist diagnosis. It is never too late to start Women’s Hair Loss Treatments Sydney with low iron/ferritin. Contact Absolique Hair Health Clinic, Trichologist Sydney, for further information, info@absolique.com.au. Or call our helpful reception team to ask about hair loss treatments results, natural hair loss treatments combination therapy and appointment procedure, 02 8014 6916.